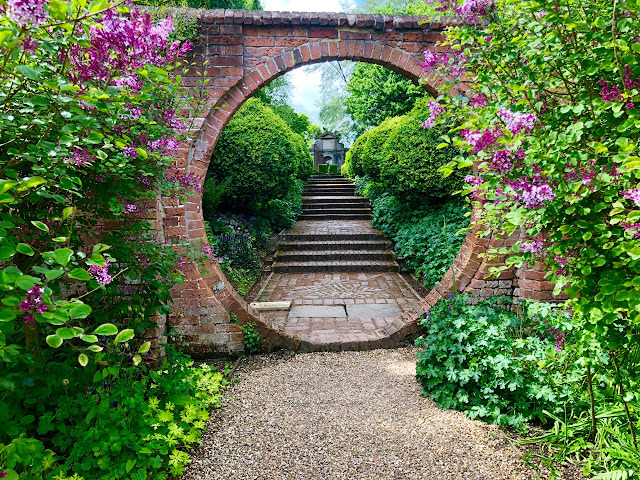 For a memorable day out in East Sussex, visit the gardens of the well-known Bloomsbury Set sisters, Virginia Woolf and Vanessa Bell - who resided at Monk's House (above) and Charleston (below), just a stone's throw (approximately half an hour's drive from each other) and both set in beautiful countryside. The good news is that Monks House (previously open for just two afternoons a week) has extended opening hours - daily from 13.00-17.30 except Monday and Tuesday and entry is free to National Trust members. Nearby Charleston was the one-time home of Vanessa Bell and Duncan Grant, who were part of the Bohemian circle of writers and artists, collectively known as the Bloomsbury Group. 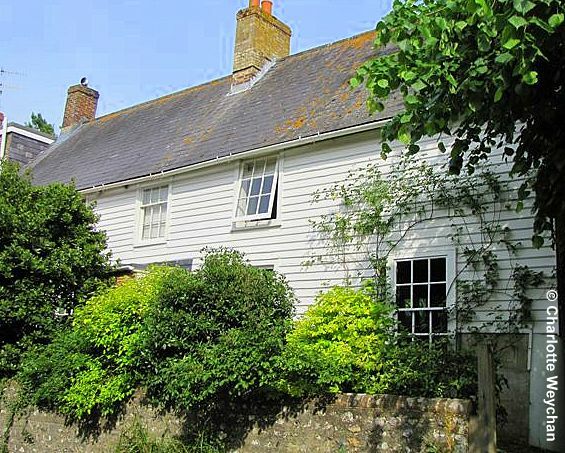 It's a pretty farmhouse (above) sheltering beneath the South Downs and there are regular tours of the property for those interested in Vanessa's paintings. 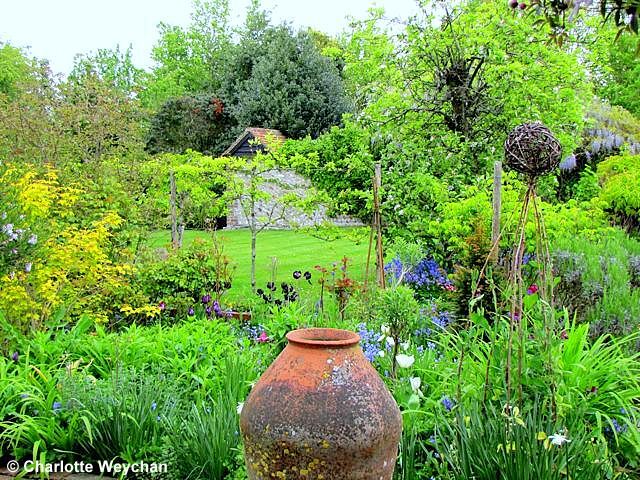 There is also a charming walled garden filled to bursting with densely-packed flower beds and a riot of colour. 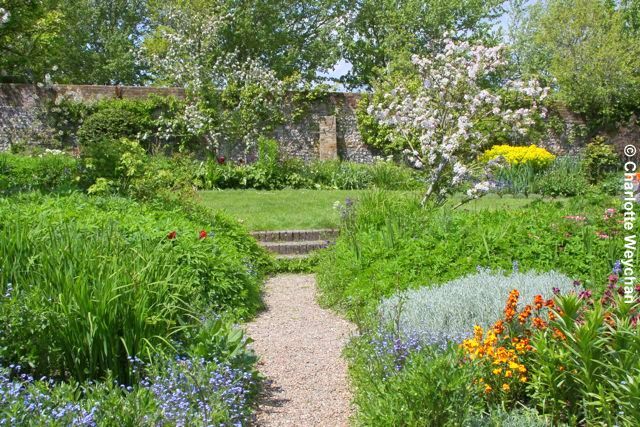 Now run by the Charleston Trust, the garden has been faithfully recreated to look like it did when Vanessa Bell lived here. 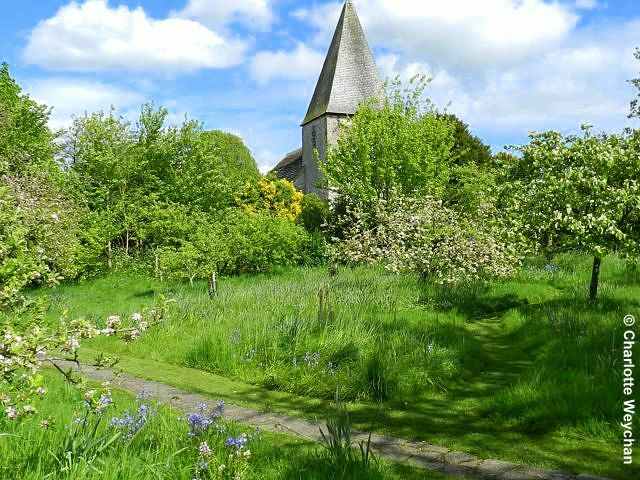 Monks House at nearby Rodmell, outside Lewes is a small cottage-style garden, with wonderful views of the South Downs and the Sussex flint church (below). 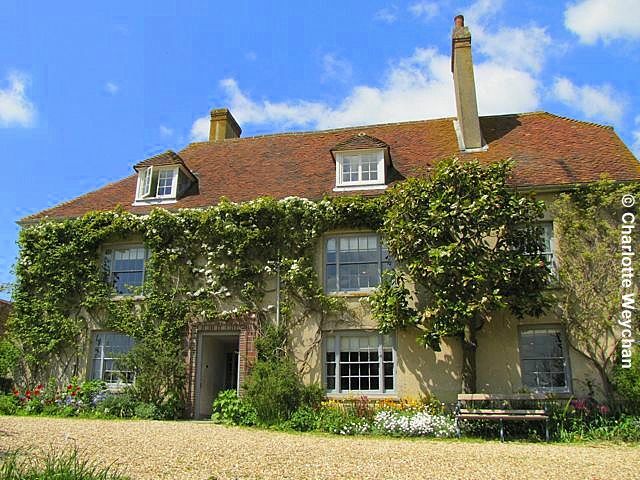 This was a weekend retreat for Virginia Woolf and her husband Leonard. And like Charleston, the charm of this garden is the dense planting and vibrant colour displays - every inch of ground in the garden close to the house is packed with stunning perennials that beg you to come back and look again and again, the orchard is filled with fruit trees and the potager where Leonard worked is flourishing. Neither garden is large, but Arts and Crafts style planting ensures lots of visual delights, with blousy perennials packed tightly in the beds. 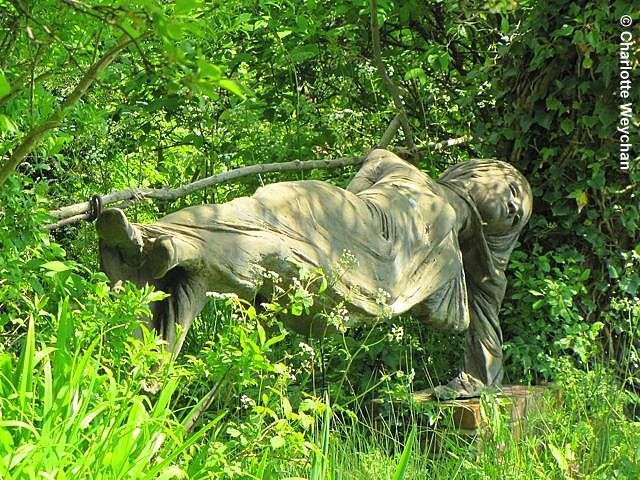 Charleston is open on the same days as Monks House (Wednesday - Sunday 13.00-18.00) and although the house fills up with Bloomsbury Set admirers intent on catching a glimpse of their Bohemian lifestyle, the garden is rarely crowded and is well worth a visit. 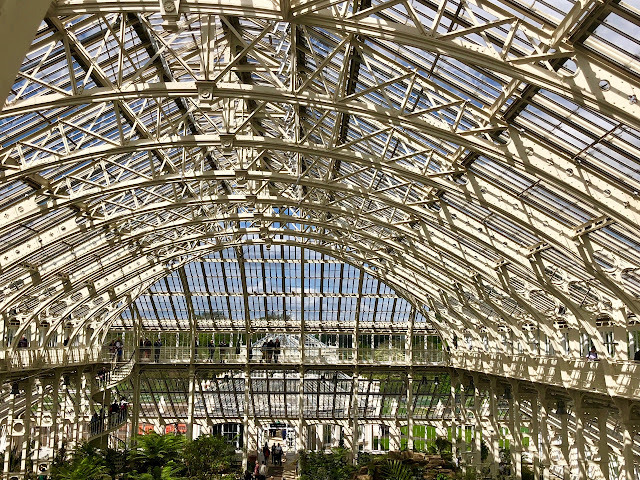 It's been faithfully restored to its former glory and is lovely on a summer's day, when you can sit and listen to the birds singing. Charleston has a lovely Sussex-flint walled garden, densely packed with cottage-style plants and lots of nooks and crannies to hide in. It's easy to imagine the parties that went here in days gone by, when Vanessa lived here with her menagerie, and wrote: "The house seems full of young people in high spirits ... lying about in the garden which is simply a dithering blaze of flowers and butterflies and apples." If the statues here could speak, I'm sure they'd have stories to tell! I'd *love* to see these places - and Rye itself. Thank you for your post, it's like getting a post-card of somewhere on my wish list! That is so pretty! It's a spring garden but looking so lush and mature! That was a wonderful post. I have been fascinated by the garden at Charleston for many years. I just got a new book called The Garden at Charleston: A Bloomsbury Garden Through the Seasons by Sue Snell that is worth taking a look at. Great shot with the terra cotta urn in the foreground. Really enjoy seeing all the English gardens through your camera lens. Very picturesque :) I've just discovered your blog and will certainly be following to gather some ideas for beautiful days out!